Every year, hunters scour Sea Island real estate in search of northern quail and pheasant. Those that do, often find themselves falling in love with all that Glynn County has to offer. As a result, they decide to purchase a first or second home of their own on either St. Simonâ€™s or Sea Island. A 5,800-acre piece of Sea Island real estate is where visitors will find the Broadfield Sporting Club and Lodge. It is a private club that accepts new members. The members have access to scheduled quail, pheasant, deer, dove, boar, squirrel and turkey hunts each year. Those that enjoy falconry are welcome too. There is also a fishing area, farm-to-table restaurant, pistol and rifle range on site that hunting club members may utilize as well. 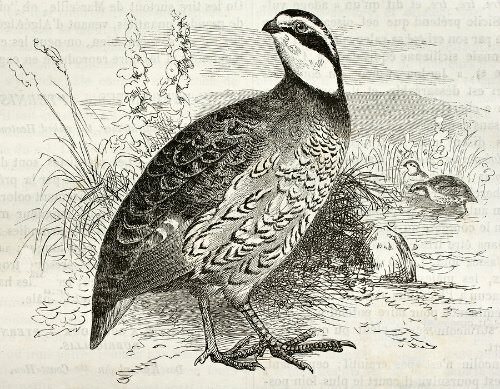 Quail season generally runs from early November until late February each year. Hunting licenses are available for purchase online and all those who come to hunt quail in the Golden Isles must adhere to a 12-bird per day restriction. Falconry season, on the other hand, traditionally runs from August until mid March. Quail hunters who use falcons or hawks to catch their prey are restricted to a dozen quail, three grouse and 12 rabbits a day. There are a variety of hunting licenses that resident and non-resident quail hunters may purchase through the Georgia Department of Wildlife. On average, hunting license prices run from $5 to $295 per person. The most expensive one is the annual trapping license for non-residents. Waterfowl Conservation, Shooting Preserve, Migratory Bird Hunting, Fishing-Hunting Combo and Wildlife Management Area licenses tend to sell for much less than that. To learn more about Sea Island real estate and what it has to offer avid bird hunters year round, please contact us at DeLoach Sothebyâ€™s International Realty. We can help sporty people find homes on both islands that offer close access to Glynn Countyâ€™s best hunting and fishing grounds.